Liesl + Co's "Gallery Tunic and Dress"
Relaxed-fit pull-on tunic (View A) or dress (View B). The tunic features cuffed three-quarter-length sleeves and a one-piece collar. The dress includes in-seam pockets, button-cuff full-length sleeves, and a band collar. Both versions include an inset front placket with a fun pleated detail, an inverted box pleat at back, and a curved shirttail hem that’s slightly longer in back. Effortless and feminine, this flattering classic-but-contemporary piece can take on many different looks depending on how you style it. And, really, isn’t that the fun part? Experience level: advanced beginner - intermediate. Suggested Fabrics: Suitable for drapey or lightweight woven fabric such as sateen, double gauze, shirting, voile, lawn, rayon, and silk. Notions: Coordinating thread, featherweight fusible interfacing, and if using sleeve cuff option, four 1/2" or 3/8" buttons . 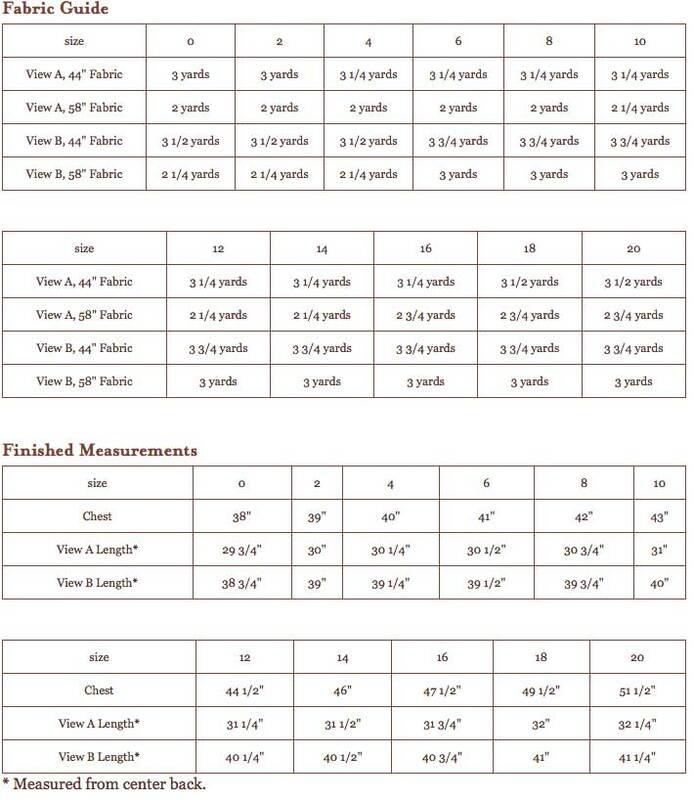 Additional details on sizing and pattern materials can be found here.